The encouraging performance of Home Of The Brave on his Australian debut has trainer James Cummings confident the former English-trained sprinter can maintain his form in Saturday’s G2 Theo Marks Stakes at Rosehill. Home Of The Brave had been off the scene for nine months before opening his local account with a second placing to Voodoo Lad in a strong field for the G3 Aurie’s Star Stakes at Flemington on 11 August,. In that race he showed he had what it takes to match the local sprinters for speed and tenacity. Cummings has given Home Of The Brave (Glyn Schofield) a quiet barrier trial between runs to keep him up to the mark, while at the same time ensuring he had the necessary time to recuperate from his Flemington run. “He’s been given time to recover from a solid first-up effort where he was running at a good speed all the way and was still finding something on the line,” Cummings said. “The winner has raced well since, but more importantly, Home Of The Brave looks to have tightened up a little bit. “He makes his own running, so it’s important to have him fit with the gap between runs. 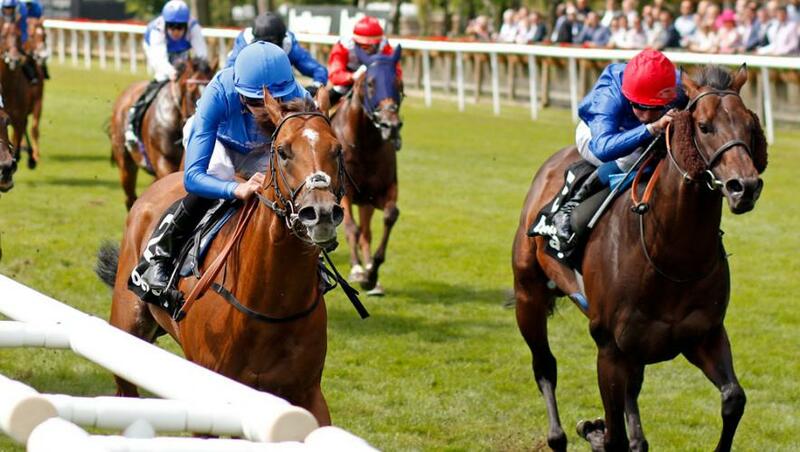 Home Of The Brave had won six races in England, the best of them the G3 Criterion Stakes over 1,400m at Newmarket. His opposition on Saturday includes the multiple G1 winner Trapeze Artist, from whom the Godolphin runner will be in receipt of 3.5kg. Godolphin’s Rosehill Stakes prospects also include Raiment and Jorda, who resume from short breaks in the G2 Sheraco Stakes. “Raiment has a bounce in her step which is great to see, and she looks to be coming into this with a bit of residual fitness from her autumn campaign.” Cummings said. Cummings said his optimism was tempered somewhat by the race conditions which require Raiment to give weight to such quality opposition as Champagne Cuddles. “It makes life tough for her, but she is in good order,” Cummings said. Jorda also had a brief autumn campaign in which she performed below her best. “Her training has been solid but this is a hard race for her to kick-off in and 1200 metres might just be at the limit of her preferred range,” Cummings said.